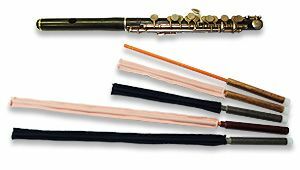 Kawabe Flute original products | World Frontier by BEYOND inc.
From students to Philharmonic Orchestras use this flute swab! Very fine cloth swab with cleaning rods. 2 types of length available. 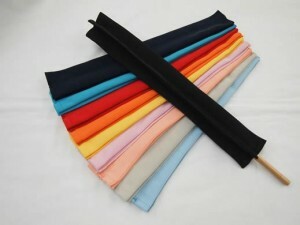 The one side is single micro fibre cloth and the other side is double micro fibre cloth with fur. Washable with washing machine! This is the perfect cleaning cloth for all kind of musical instruments. 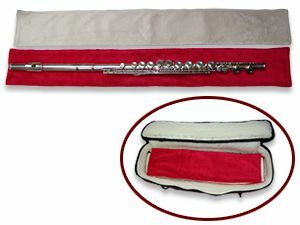 This is the ideal cloth for cleaning and putting your flute on the piano with no scratches. 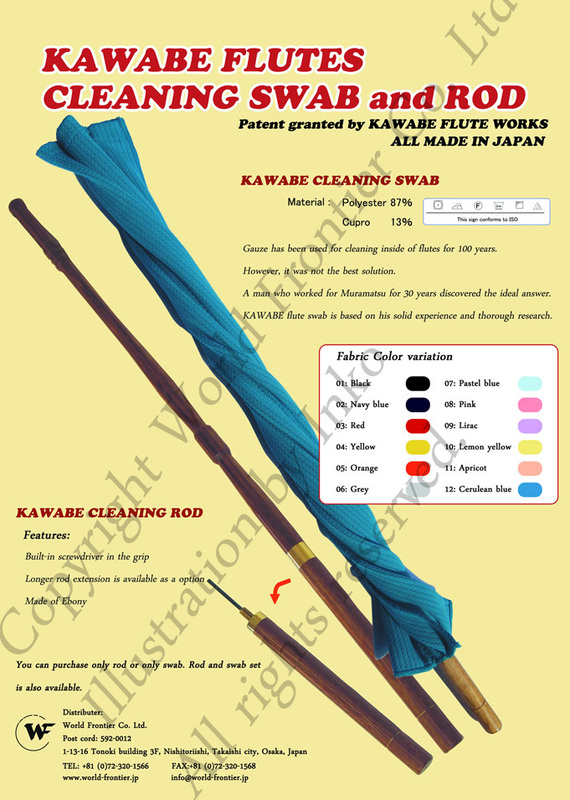 Kawabe Flute Swab is the ideal cleaning tool for flutes. 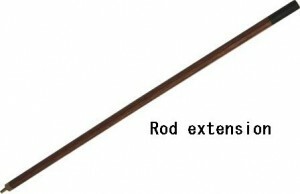 There are various kind of innovative swabs and cleaning rods. 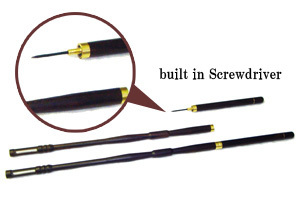 With cleaning rod extension, you can clean the inside of flute without disassembly using Kawabe Flute long Swab. Cleaning Rod and the cleaning rod with extension. Gauze has been used for cleaning inside of flutes for 100 years. However, it was not the best solution. 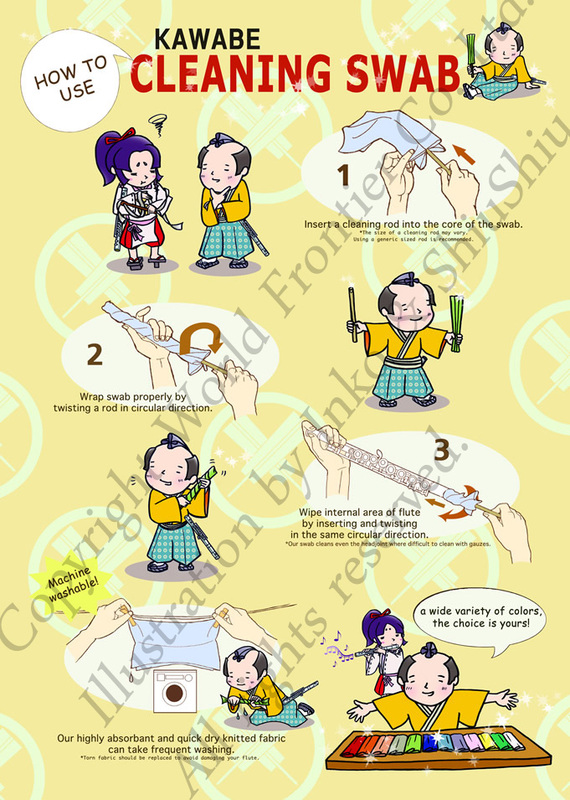 A man who worked for Muramatsu for 30 years discovered the ideal answer. 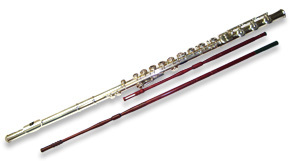 KAWABE flute swab is based on his solid experience and thorough research. 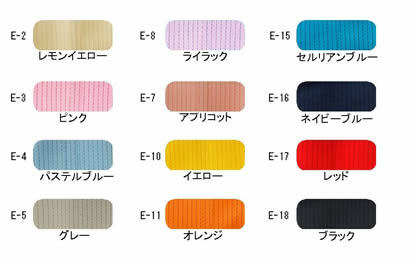 We have 12 colours in stock. 17 colours are available on maker. 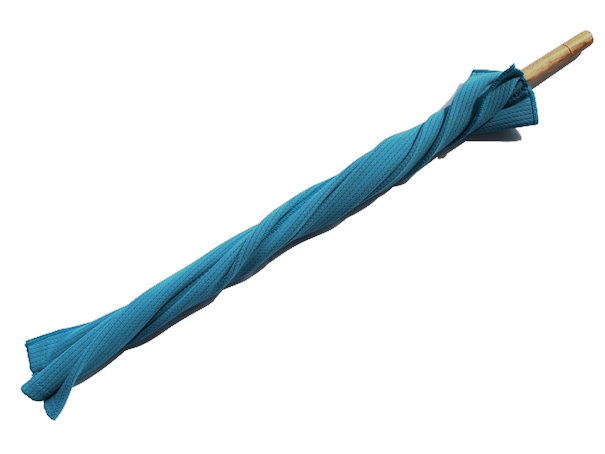 We can also supply 5 remaining colours. Please feel free to contact us.